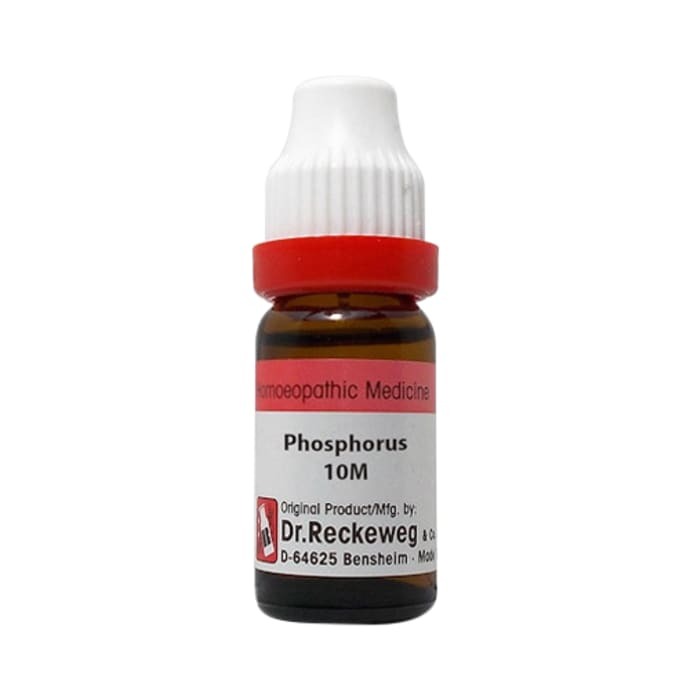 Phosphorus is a homeopathic medicine made from the element phosphorus and suited to tall, slender, fair, anemic and weak individuals. They are very sensitive to any kind of external impressions with great weakness and tendency to bleeding. There is bleeding of gums. Should not be taken in too low or too continuous doses especially in tubercular cases. A licensed pharmacy from your nearest location will deliver Dr. Reckeweg Phosphorus Dilution 10M CH. Once the pharmacy accepts your order, the details of the pharmacy will be shared with you. Acceptance of your order is based on the validity of your prescription and the availability of this medicine.